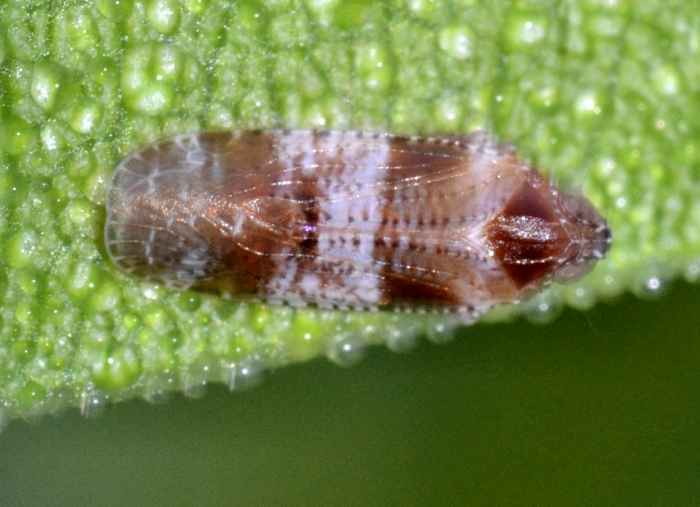 Catonia picta (Achilid Planthopper (nonsp.)). Size: approx. 4 mm. Photo: 08/22/11, 9 am. This small planthopper is Catonia picta. The plant is an oleander. The genus has ten species in North America. I could not find any additional information on this hopper. Size: approx. 4 mm. Photo: 08/06/14, 6 pm. 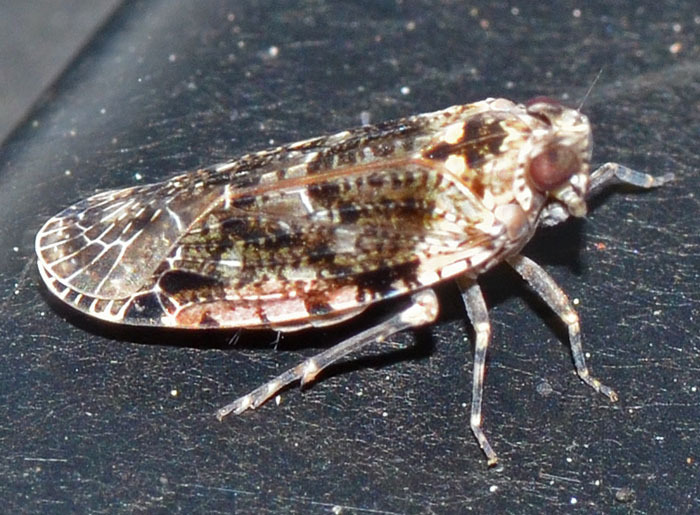 I found this bug on my black pick-up truck which is probably not the typical habitat of this planthopper. The species Catonia nava seems to be most abundant in the Southeastern US.